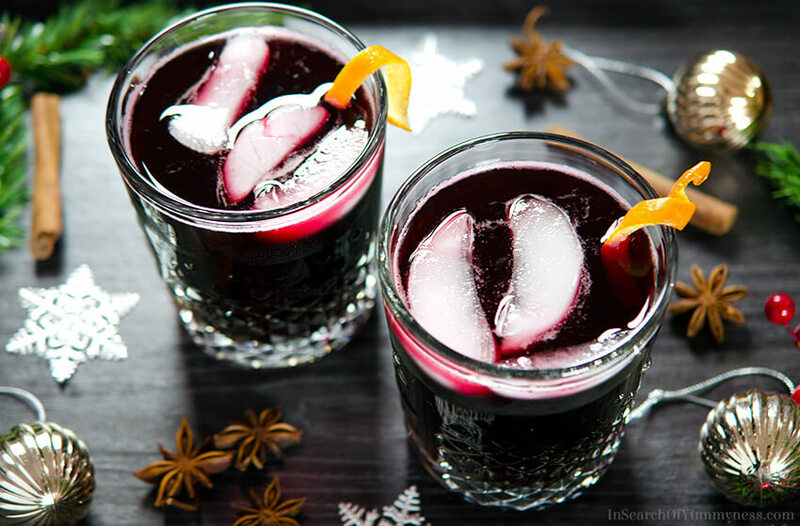 Sorrel Drink is a tangy, spice-infused beverage that is often served at Christmas and New Year’s in several parts of the Caribbean. There are some recipes that are so ingrained in our family traditions, that we can sometimes take them for granted. This sorrel drink recipe is like that for me. Growing up, this ruby-coloured beverage would show up around Christmastime and stick around straight through the New Year. At first, I didn’t take much notice of it, preferring to drink my mom’s (non-alcoholic) sparkling cranberry punch instead. But eventually, I came to know sorrel drink as the nicer one of two Trinidadian beverages that my parents would have in the house during the holidays. The other drink being something called Mauby – a bitter drink made from a special tree bark, which I have never liked. 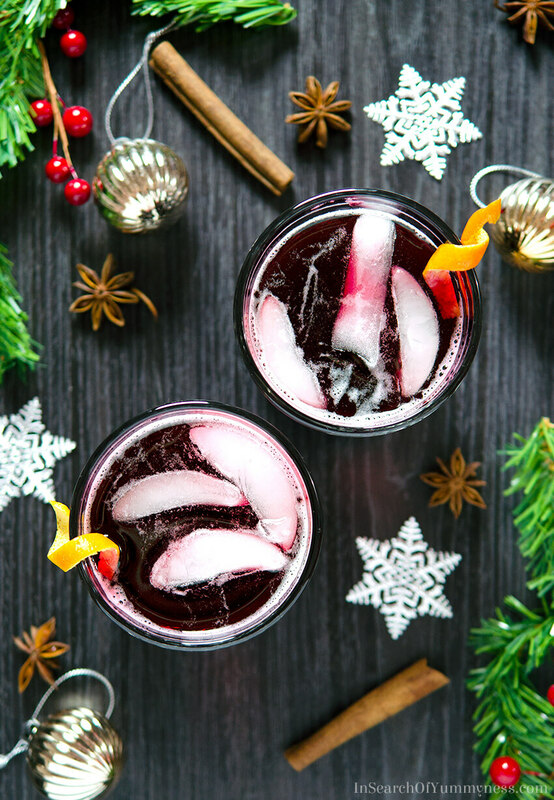 You can think of sorrel drink as a Christmassy lemonade. Steeped sorrel has a strong, tangy/acidic flavour that tastes strangely like lemon, but it plays well with warm fall spices. It might seem a bit strange to drink a cold beverage with warm spices, but it actually works really well! We don’t make a ton of Caribbean foods, simply because a lot of the classic recipes take a long time to put together, or require ingredients that are difficult to find here in Canada. 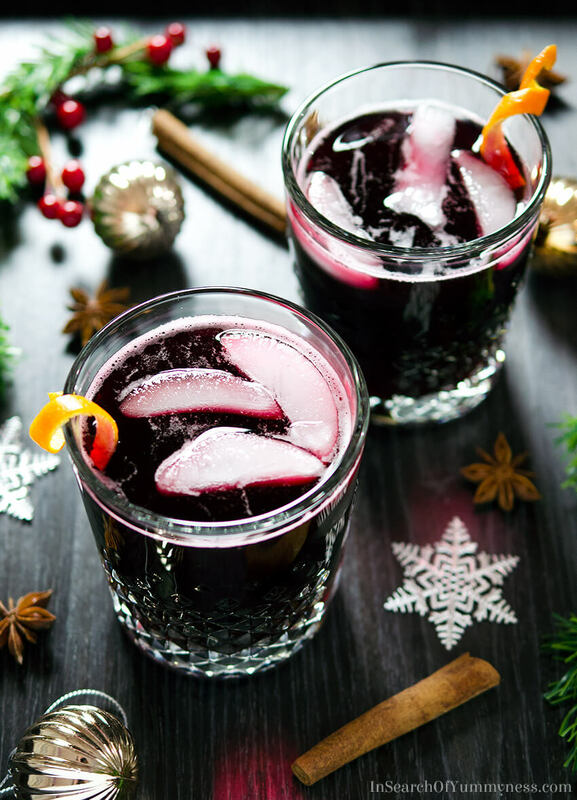 But my mom has always tried to bring elements of Trinidadian cuisine into our holiday celebrations, with recipes like coconut “breakfast bun” cookies, or Caribbean Chelsea buns, and this sorrel drink recipe. We’ve always just called this “sorrel”, based on the Roselle hibiscus plant that it’s made from, but apparently there is a leafy green called sorrel too. The two plants are completely unrelated, so if you’re trying this recipe for the first time you’ll want to make sure you have the right ingredient before you get started! Like so many Caribbean recipes, including my beloved macaroni pie, there are many different variations of this drink. Ginger, cinnamon, orange peel and cloves are popular additions, but I’ve also seen recipes that call for allspice, bay leaf and rum. The recipe I’m sharing today belonged to my late grandmother, and of course my mom has put her own spin on it throughout the years. 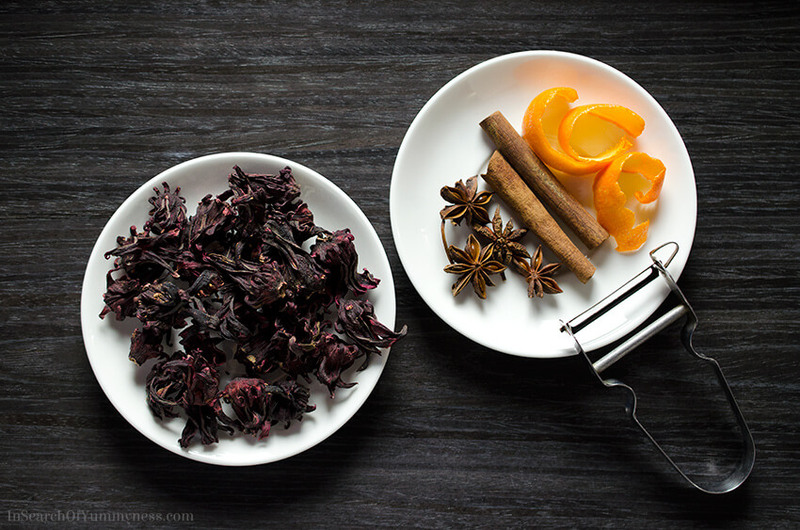 If you saw our spiced apple cider recipe, you know that we love to cook with star anise, and that flavour is key to our version of sorrel drink. Some sorrel recipes require you to steep the mixture for hours, or leave it overnight to develop the flavours. We prefer to use a lot of spices and bring the mixture to a simmer, so that the mixture can become flavourful in a shorter period of time. However, if you prefer a really strong brew, you can still leave the mixture in the fridge overnight to really intensify the flavors. We use fresh sorrel for this recipe when it’s available (which isn’t often), but dried sorrel works equally well. Since the dried sorrel tends to be easier to find, I’ve based the recipe on that. If you do get your hands on fresh sorrel, just be sure to at least double the amount that you use. The dried version has a much stronger flavour (like dried herbs). You will probably need to add a lot of sugar to balance out the acidity of the sorrel. We never sweeten the whole pitcher. Instead, we leave the strained sorrel in the fridge and then everyone can adjust their glass with sugar and water to their preference. I like to dilute mine a little bit, and add a teaspoon or two of sugar to my glass. The last thing to keep in mind is that steeped sorrel is sometimes used as a natural pigment to dye fabric, meaning that this stuff will stain anything it touches. Just something to keep in mind before you decide to make this while wearing a nice white sweater! Have you tried sorrel before? Let me know in the comments! This tangy spice-infused drink is traditional holiday drink in several parts of the Caribbean. Be sure to adjust the sweetness and intensity of the drink to suit your preferences. Combine all ingredients, except the sugar, in a large pot. Gently simmer for about 10 minutes, then remove from heat. Allow the mixture to sit for at least 30 minutes, up to 2 hours to infuse. Strain the mixture into a glass pitcher. Set in fridge to chill. When ready to serve, sweeten and/or dilute the mixture to your preference. Serve over ice. Store unused portion in the fridge for up to 2 weeks. It is normal to see some sediment in the bottle after a few days. For a more "adult" drink, you can add rum to this recipe. If using fresh sorrel, you will need at least twice the amount compared to using dried sorrel. To intensify the flavour even more, you can leave the unstrained mixture in the fridge overnight, then strain before serving. Try lining a sieve with cheesecloth before straining the mixture, this helps to catch tiny particles and impurities in the mixture. If you don't want to go through the steeping process yourself, look for Sorrel syrup in West Indian or Asian markets. CAUTION: the sorrel mixture is highly pigmented and will stain anything it falls on (clothes, dish towels, plastic etc.). Wow, this looks spectacular and makes me very sad that I won’t be able to try it – we don’t get fresh sorrel here 🙁 I’m going to have to live vicariously through you on this one and just imaging how wonderful it tastes 😀 Thanks for sharing this at Smoothie OTW and hope you’ll link up again soon. Belated Happy Holidays to you! Thank you for introducing me to this traditional beverage! I think I would like it, as I like lemonade. I also like hibiscus tea, although I’m sure this is nothing like that. I would be interested in trying this if I could get the sorrel. I think you would like it Cathy! It’s like lemonade made with hibiscus tea since you’re basically steeping the sorrel before you chill and sweeten it. I found dried sorrel at Real Canadian Superstore, but Amazon should have it too! This looks absolutely wonderful! 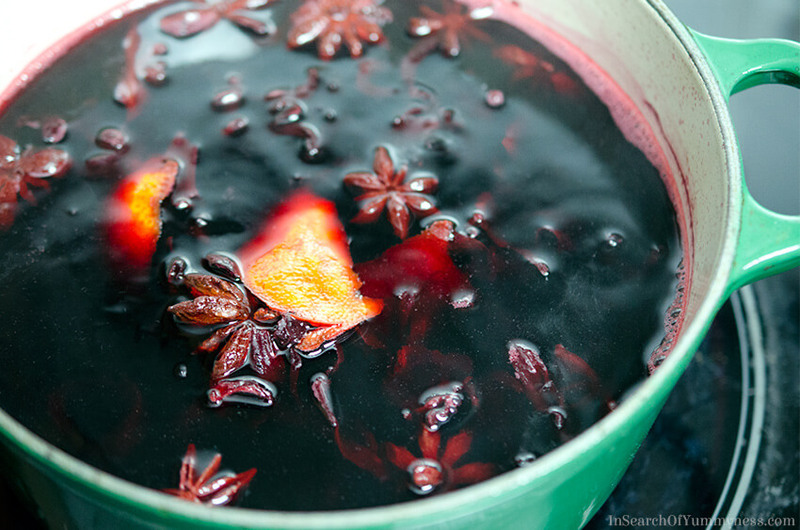 I love all of those warming spice flavours that are included – sounds like a perfect wintertime drink! I have had Sorrell from a young age. I’m latina and was born in Panama. My Mom and Grandparents and Aunts as well as many friends made this drink on Thanksgiving, Christmas and sometimes even during the year from either the fresh or dried Sorrell. My Grandfather had a garden and he planted and grew Sorrell so most of the time we made the beverage from fresh Sorrell. When my sons were younger my Mom and I made it several times here in the U.S. when I was able to find and purchase the Sorrell but we were the only ones who drank it because they didn’t like it. I recently got a bag of Sorrell from a friend so I’m making it for Thanksgiving and Christmas vecause they won’t drink it but I woukd love it, haven’t had it for years. It was a pleasure texting about it to you. GOD bless you and have a wonderful Thanksgiving and Christmas. Hi, I have bottled my sorrel drink but noticed some stuff in the bottom of bottle not sure what it is and whether or not the drink is still good Is it starting to ferment? It’s only been one week since I made it. Hi Sandra, did you put it in the fridge? I don’t think it would start fermenting that quickly… but if it has been sitting on the counter it could be spoiling. I visited a Caribbean Soul Food Restaurant in Harlem, New York named Johnny Kaks International, Inc. serving this most flavorful homemade drink. Now I truly want no more soda of any kind. Sorrel is my request when both in-house dining or takeout. They also serve a homemade Ginger Punch just as tasty. I’m glad to hear that you’ve found a couple of Caribbean drinks that you enjoy! This was delicious! And I happened to be making kombucha at the same time so I figured I would just water it down a little, add a little extra sugar and ended up making this into a kombucha… it was so good!!! Will for sure be making this again. Many times.